An island of bunnies waiting to make your acquaintance! These friendly and furry creatures were intentionally set loose on the island decades ago and are now protected animals. 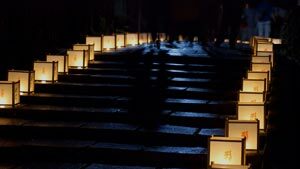 The small island they inhabit is located in Japan's Inland Sea where it is reachable by a short ferry ride from the mainland, making it a great side trip for those visiting Hiroshima. 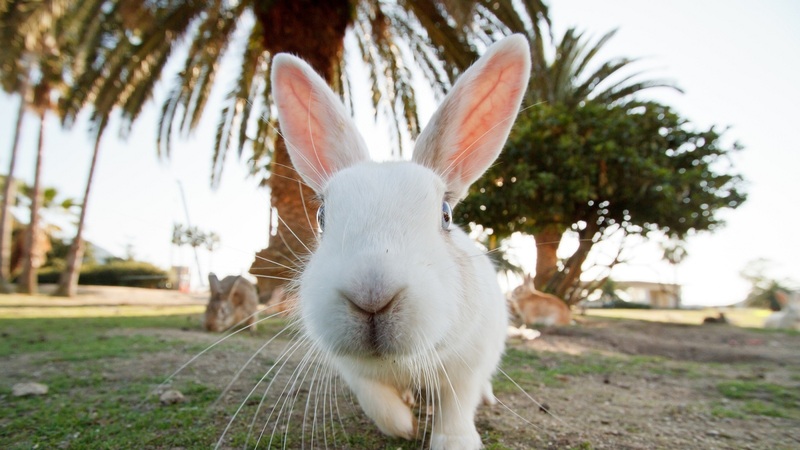 Feel free to feed the rabbits--alfalfa pellets are sold on the island; you can even bring carrots if you like! 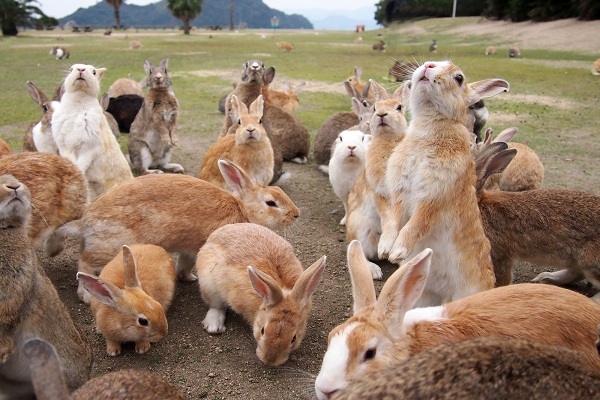 Best time to visit: You can meet Okunoshima's long-eared residents year-round. As food can be scarce in winter, the bunnies bid you welcome especially during the colder months (just don't forget the snacks!). 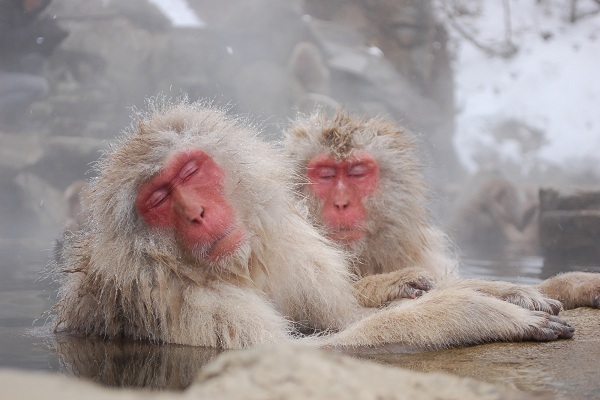 As they say, monkey see monkey do--the macaques of Japan, popularly known as "snow monkeys", allegedly learned how to enjoy hot springs after one monkey discovered that a nice, long dip was a good way to keep warm during Nagano's snowy winter many decades ago. Now, a troop of snow monkeys regularly sets up camp at the open-air hot spring bath especially made to accommodate them. The spectacle draws many visitors, who can observe the macaque's blissful expressions. Also, keep a lookout for the adorable baby monkeys learning onsen appreciation for the first time! 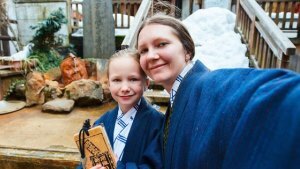 Best time to visit: Jigokudani Monkey Park is open year-round, but the best time to see the monkeys is during the winter--especially in January and February, when the monkeys gather at the hot springs for necessary warmth. 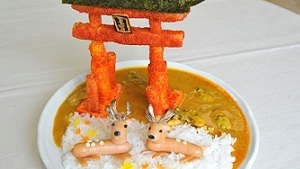 If you're planning to visit Japan's ancient capitol, you'll inevitably come across these decidely unshy deer without even having to try (they number upward of 1200). 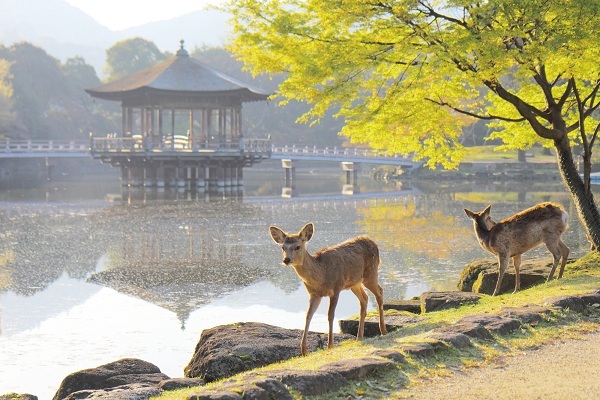 The deer freely roam the park grounds and can also be found exploring the shrines and temples nearby. Most deer are very eager to meet visitors who have purchased "deer crackers" from a nearby vendor; some will even politely bow in return for a tasty treat! Please note that you should follow all the park rules for interacting with the deer, especially as some can be aggressive during mating season. 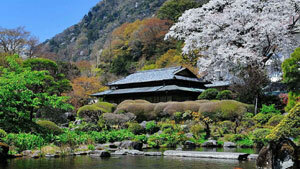 Best time to visit: The deer are present year-round in Nara. If you are hoping to feed them, the "deer cracker" sellers are most easily found around the park on sunny days. 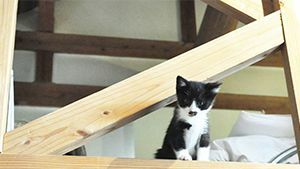 In Japan's bigger cities, its not hard to find a café with non-human staff members: cat cafes, rabbit cafes, goat cafes, penguin bars, and more all exist somewhere in Japan's urban center. 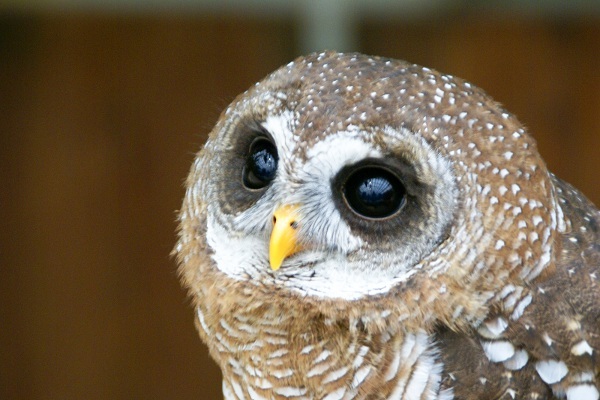 The latest craze is all about owls--who you can meet at so-called "fukuro cafés" (owl cafés). Tokyo boasts several of these venues, where you can interact with a menagerie of fine-feathered friends from large to small: pet them, let them perch on your arm, have a staring contest...it's definitely an experience you won't soon forget! Best time to visit: There are several owl cafes in Tokyo but they are all quite popular and entry is by reservation only. We recommend booking in advance through Voyagin for a guaranteed time slot. We just can't get enough monkeys--this is the second entry on our list to feature Japanese macaques. 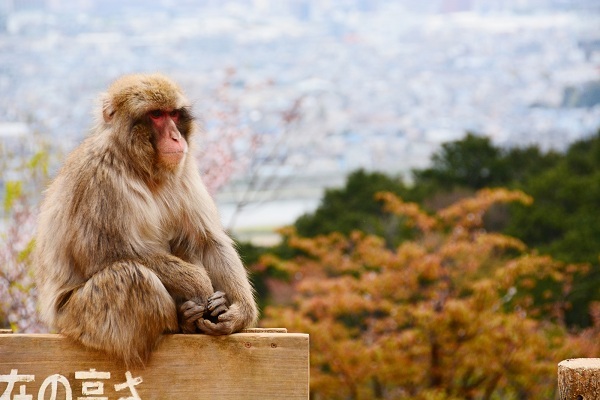 While you have a better chance of seeing the snow monkeys in the hot springs at Jigokudani Monkey Park during the winter, in the warmer months of the year you might have a better chance at Arashiyama's famous mountaintop monkey park in Kyoto. 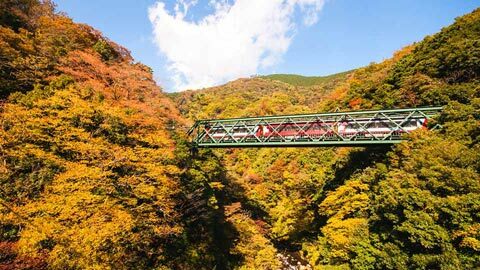 Arashiyama is a very scenic location with plenty of green nature and traditional ambiance--if you hike to the top of Iwatayama, not only will you get a good view of the city, but you'll also get to meet a lot of monkeys! 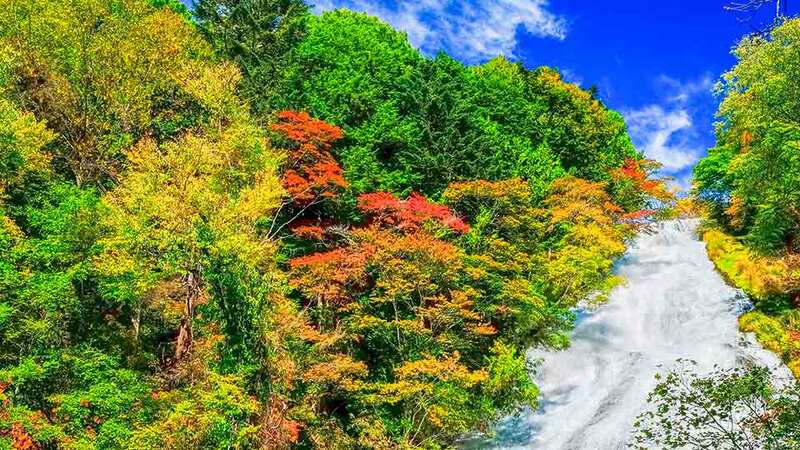 Best time to visit: Although the park is open year-round with limited hours during the winter (and is closed during bad weather), you'll find Arashiyama the most scenic during the spring and fall. Please note that an admission fee may be required. 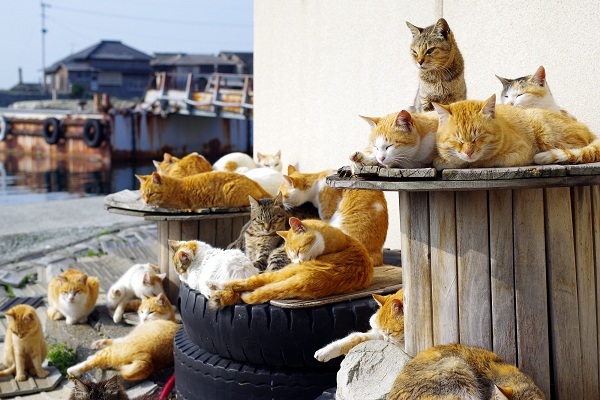 There aren't just one--but several so-called "cat heaven islands" in Japan--small islands here and there where for some reason or another, cats outnumber the human by a wide margin. The three most famous are perhaps Tashirojima, Aoshima, and Ainoshima. Tashirojima off the coast of Fukuoka, in particular, encourages adoration of its feline inhabitants, even going so far as to have a cat shrine. The kitty communities are quite easygoing and amiable, especially if you have a treat for them. Best time to visit: The kitties welcome visitors year-round. Nasu is a town in Tochigi Prefecture known for its beautiful mountain scenery and terrific hot springs--it also happens to be the home of Japan's largest alpaca farm! 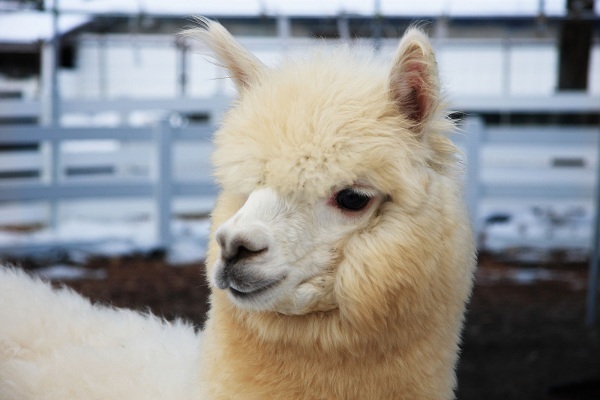 Some people jokingly refer to Nasu Alpaca Farm as "Nasu Picchu", an homage to the alpaca's South American roots. With over 400 alpacas roaming the premises, its easy to get up close and personal with these cuddly and excessively fluffy, sweet-natured animals. Raised for their wool, the alpaca friends might be shaved or fuzzy when you see them, depending on the season. Best time to visit: The farm is open year-round except for Thursdays and the New Year's holidays. In case Thursday is a national holiday, it will be open on Thursday, but the following day it will be closed. Please note that an admission fee may be required. Few of us ever get to see foxes up close in person, but a visit to this fox sanctuary in Zao will change that. Home to over a hundred foxes, you can meet six breeds of these playful and curious bushy-tailed creatures. In Japan, foxes were historically regarded as clever, mystical creatures that could even shapeshift to play tricks on humans. 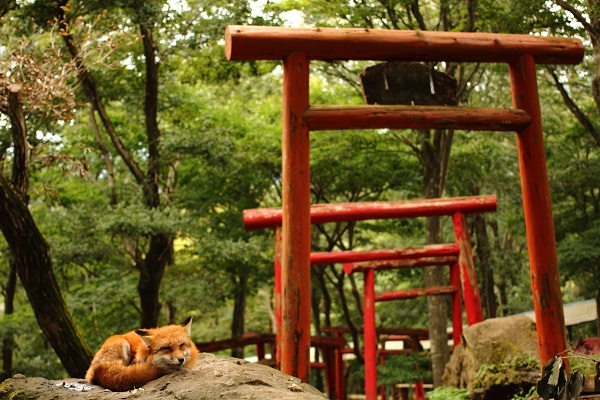 As such, there is a special reverence towards the fox that still exists today, perhaps most prevalent in the various shrines to the Shinto deity Inari found across Japan that are full of fox-related iconography. It's said that fried tofu is the favorite food of foxes, but at Zao Fox Village, you'll have to settle for normal fox food to feed the residents. Best time to visit: Zao Fox Village is open year round. Please note that an admission fee may be required. Nagano's snow monkeys aren't the only non-humans who love a good soak in the onsen! The world's largest rodent may hail from South America, but you'll find they've grown accustomed to Japan's hot spring culture right nicely. 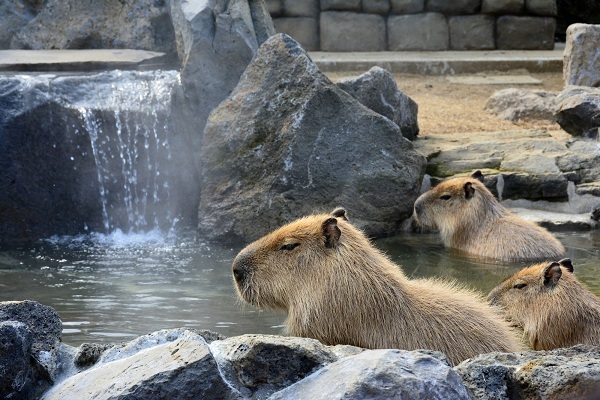 The capybara at Izu Shaboten Park, a botanical and zoological garden in Ito, have been enjoying their custom-made open-air hot spring arrangements for over 30 years, and the practice is starting to spread to other zoos around Japan. 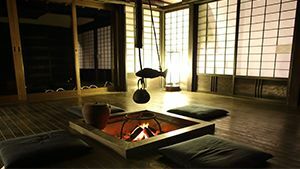 Best time to visit: The capybara onsen is usually open from December through the beginning of April. Please make sure to check the schedule before your visit. Please note that an admission fee may be required. Who would've thought that you could see wild horses running free across Japan? If you're up for an adventure up north in Aomori prefecture, Cape Shiriya might fit the bill. The horses here are known as "kandachime", meaning "horses that stand in the cold", referring to how the horses are able to handle Aomori's chilly winter weather. 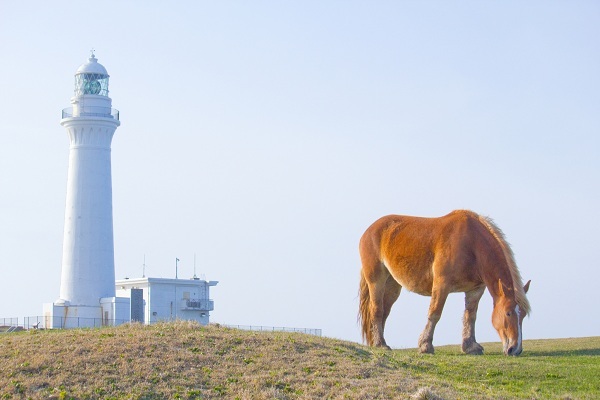 They can often be seen grazing around the historic lighthouse installed at Cape Shiriya; it doesn't get much more scenic than this. Although the horses are wild, they are amazingly not shy of people and will come right up to humans to say hello--of course, you should return their good manners with a reward (they love carrots). Please note that although these horses seem tame, they are still wild animals--exercise caution as needed. Best time to visit: The horses roam free and so can you! Pay them a visit at Cape Shiriya any time during the year.